Ideas? Questions? We would love to hear from you! Please contact us! What is the goal of Connections: Mentorship Circle? To empower and support young, professional women through discussion, mentorship, and skills-building. What is the history of Connections? Connections first came together in 2014 as a small and informal group of friends new to the workforce and seeking to build business knowledge. Our first session had only 1 Mentor & 8 Mentees. Since then, our group has exploded and includes a circle of over 80 Mentors & 80 Mentees in Calgary! Everyone who identifies as female is welcome. We find the participants who thrive at Connections are those who are open-minded, positive and willing to share and learn from one another. We welcome women in all stages of their careers and development: those who would like to be mentored, as well as those who have skills and experience they would like to offer as Mentors. Mentees are encouraged to make the best use of their attendance at Connections sessions by asking questions and sharing their perspective during the session. There is lots of opportunity at each session to grow your network, so we recommend that you bring business cards. New mentees will need to fill out a questionnaire that will help us to make productive Mentor/Mentee pairings. In order to help us make productive Mentor/Mentee pairings, we ask that each Mentor provide a bio (maximum of 200 words), as well as an up-to-date headshot. We carefully match Mentors and Mentees in one-on-one or one-on-two groupings and ask that the Mentor spend 45 minutes to an hour with their Mentee(s). After the session, if there is interest we encourage Mentors and Mentees to continue their relationship. We do ask that Mentors contribute $40 to help cover the costs of food and beverages for the evening. We always have a professional photographer on site to capture moments from the evening. We ask that participants dress in business attire. 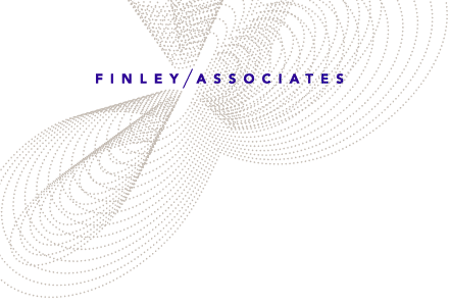 To get an idea of what people have worn at past sessions we encourage you to take a look through our Facebook albums on our Finley & Associates Facebook page. Why does it cost money for Mentees to attend Connections sessions? Over 100+ hours of time goes into the organization and implementation of each Connections’ session. Mentees’ admission fees help to cover materials, venue rental costs, and, when appropriate, an honorarium for the keynote speaker. We are always looking for volunteers to help with the organization and implementation of sessions. If you are interested in volunteering please connect with us at connections@finleyandassociates.com.